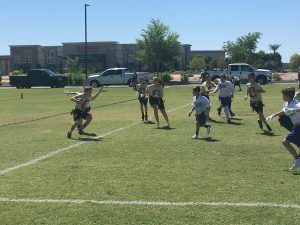 The Cicero middle school flag football teams got to see their first action of the season in Gilbert on Saturday. Both teams competed against Lincoln Prep. 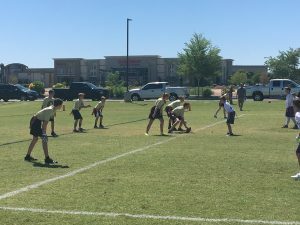 The B team had a strong second half and won 20-0, the A team moved the ball well, but could not find the end zone and lost 2-18. Both teams will be at Chandler Prep this coming Saturday.